When communities manage their own natural resources, they strengthen the movement for earth rights, but they’re worried about damming in the Mekong Basin. The villagers catch fish in the O’Tabok River. 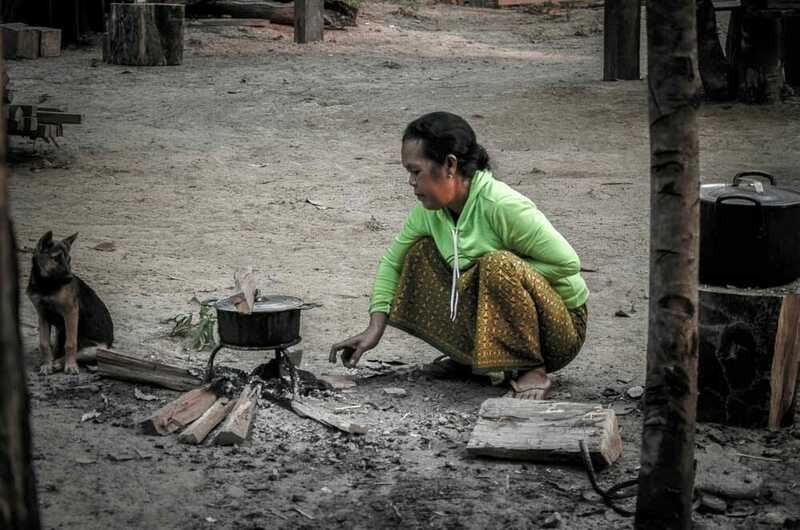 In Mondul Yorn village, Cambodia, there is no electricity and no internet. There are two ways to get into the village: the main one is by boat, via the shipping route on the O’Tabok River, and the other is by motorbike, a two-hour drive from Taveng Leu commune. There are no roads for cars. 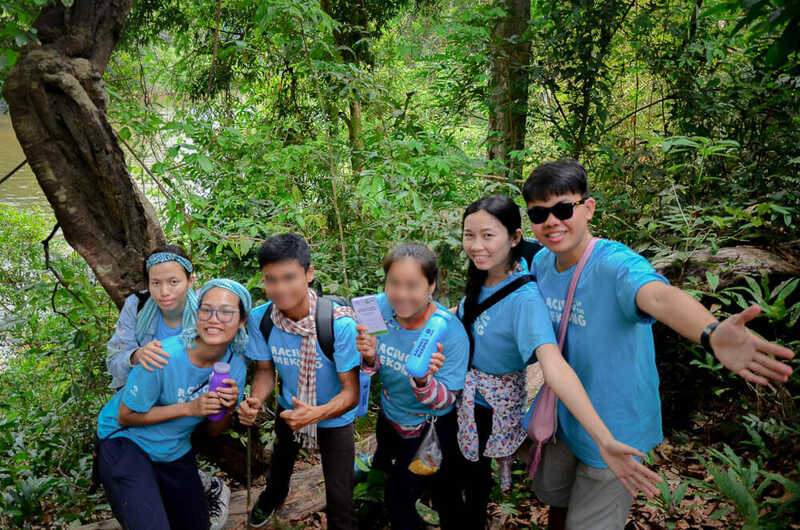 In late March, six alumni of the EarthRights School, including myself, joined young people from five Mekong countries for the Oxfam Regional Youth Camp to learn and experience the connection between nature and humanity in Mondul Yorn village. I joined this camp because I work on environmental and human rights problems as a campaigner. In the Mondul Yorn community, they do campaigns through the media, videos and pictures to support natural resource management. These are important ways to spread awareness of the reality of the community’s resources to other local people, in Cambodia and elsewhere. 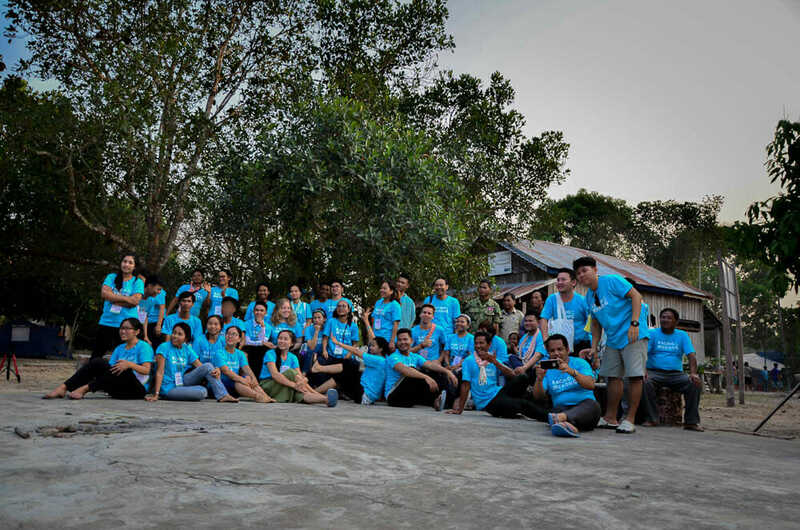 This camp helped build our understanding of natural resource management and strengthen our regional network of campaigners working for earth rights. 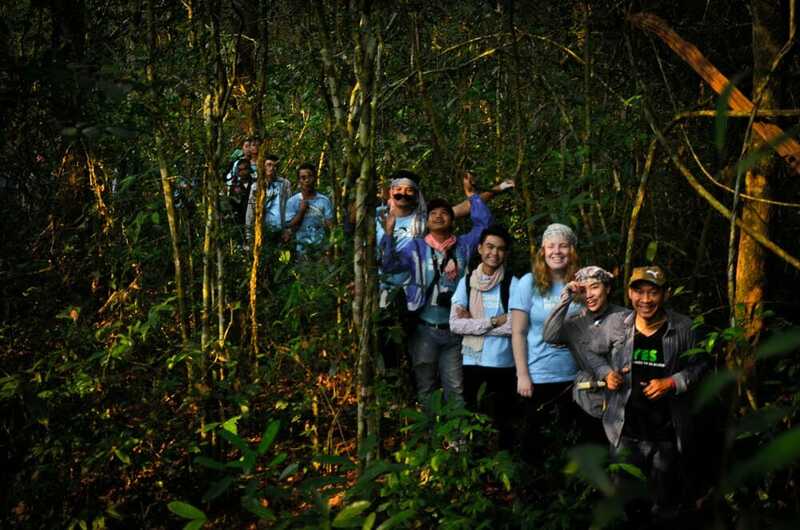 Participants in the youth camp trek in the Virachey National Park together with community members. Mondul Yorn is located in the Virachey National Park, in the northeastern Cambodian provinces of Ratanakiri and Stung Treng. The village includes 550 hectares of land and 18 houses. The 118 villagers in Mondul Yorn are from the Brao ethnic group. They maintain their local language but most people can also speak Khmer language, which is another indigenous group living across the region. Many villagers are rice farmers and live using the abundant resources from the O’Tabok River. The O’Tabok provides much of the food that sustains theses villagers’ way of life. The O’Tabok is directly connected to important rivers across Vietnam and Laos such as the Sesan River, the Srepok River, and the Mekong River. Proposed and built dams along those rivers impact the O’Tabok and the water the Mondul Yorn villagers use for fishing, drinking, and cooking. The river also serves as the main road for the community. The villagers are concerned because the water in the river has become lower than before. They are concerned that in the future, if the water level continues to get lower, boats will not be able to travel on the river and the local people will not be able to catch fish. A villager cooks fish for dinner. 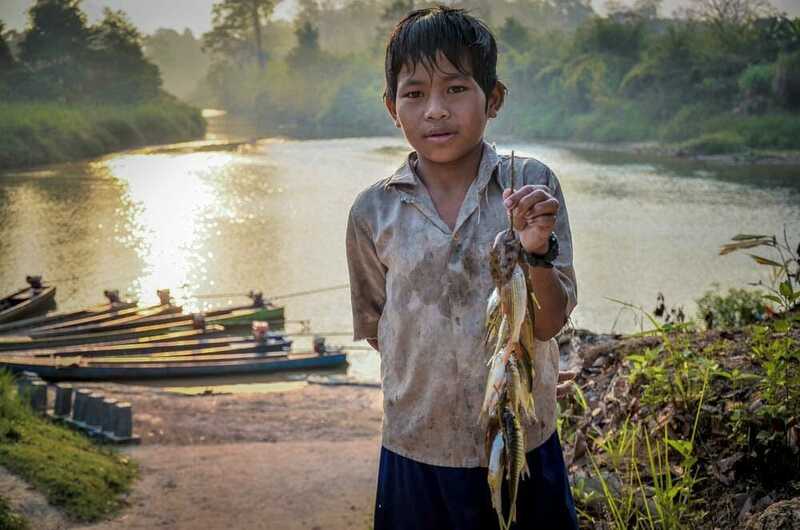 A young Mondul Yorn villagers shows the fish that he caught. The villagers in Mondul Yorn show respect to the spirits of the forests every year in an ordination ceremony for the woods. They sacrifice a water buffalo and pray for the forests and their home. The villagers depend on the forest for food, but the food they collect varies depending on the season. In rainy season, they have bamboo shoots and mushrooms. 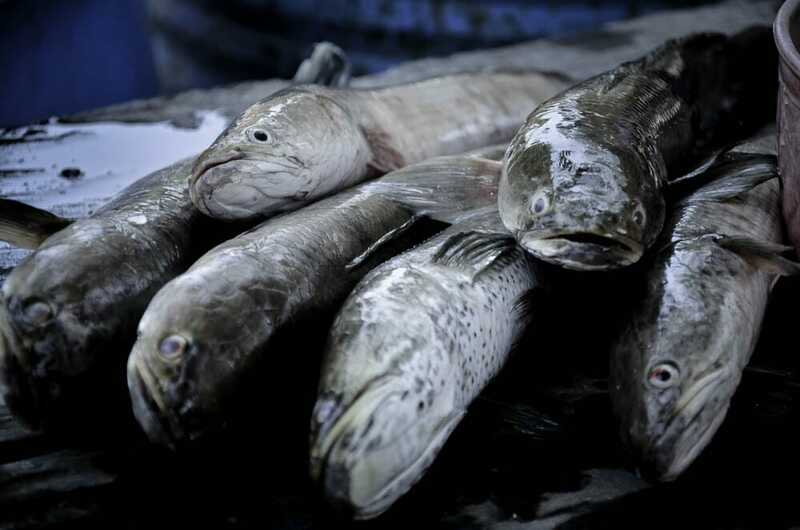 In different seasons, they also can catch different kinds of fish in the river. The villagers also cooperate with local officials on forest conservation practices and have community-based tourism programs that include trekking and other ways to teach people about the ecosystems in the forest. 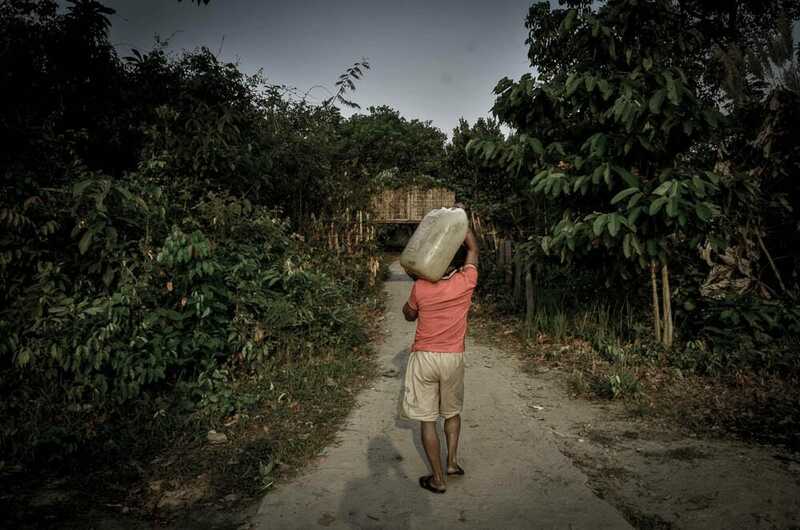 A villager brings water from the riverbank to his house. The villagers here also depend heavily on the O’Tabok to sustain their lives. They use the water from the river for everything. They take the water by the gallon many times per day, walking around 50 meters from the river bank to their houses, and using it to drink, cook, take a shower and feed animals. For drinking, the villagers boil the water first, but for other uses they don’t boil it – just wait for the sediment to settle down. When we were in the village, every day we had fish in every meal. The river is also a place for the children and for the villagers to bath, wash clothes and wash their motorbikes. The main occupations of the villagers are planting rice and fishing. All the fish that they catch are for their families, not for sale, because it is difficult and takes a lot of time to go sell the fish in the city. They also have mango and cashew nuts for sale, when they are in season. They also raise pigs, chickens, and buffalo along the O’Tabok River bank. Fish from the O’Tabok River are a main part of the villagers’ diet. In this village they have a school but no teacher to teach the students, so the children in this village grow up without education. Many kids want to travel to the city to study, but it’s difficult because they have to spend money for education and transportation. In this village they also have no health care. When villagers get sick they have to go to Taveng Lue commune if they want to be treated in a hospital. Because of this, they use a lot of herbs and plants from the forest to treat sickness in the village. 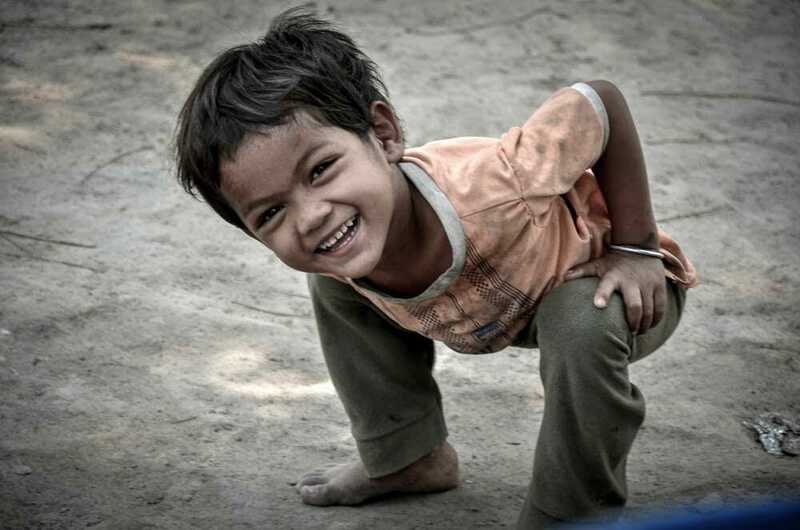 A young member of Mondul Yorn village smiles for the camera. The Mondul Yorn villagers are worried about the future of the O’Tabok because its water allows them to survive and be self-sufficient. If the Mondul Yorn villagers can depend on nature for their livelihoods, they can survive without welfare from the government, but only if their natural resources are preserved. 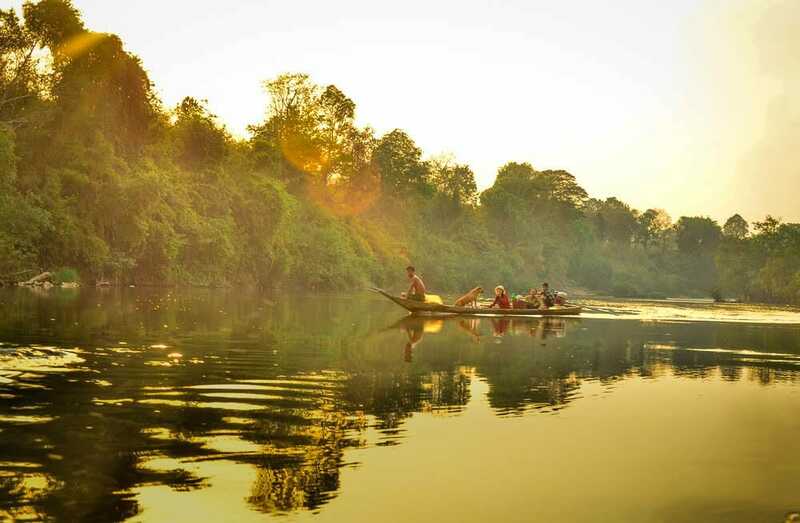 Even when ethnic groups like the Brao people are neglected by the government, they can survive using the forest and the water in the river for life and for food. Because of this, these villagers respect and protect everything that they use. Through this camp, I developed my understanding of how communities manage natural resources. It is important that we make rules about resource use, such as prohibiting cutting trees without permission, and ensuring that people respect the forest. In Mondul Yorn, our group of EarthRights School alumni and youth from the Mekong region were able to see clearly that if nature is still plentiful, humans can continue life in their communities and rely on the environment without modern things from the city. They maintain their local languages and their tribal culture. Those things are very important for the villagers. It is our duty to protect nature and the rights of local communities to maintain their ways of life, like in Mondul Yorn. The alumni of the EarthRights School join the camp. Participants from five countries of Mekong region. *Thanakrit is an Earthrights School alumni and Campaign Fellow at ERI.